Send a meaningful gift to family and friends, a small packet of love, with an impact that will last all year long! 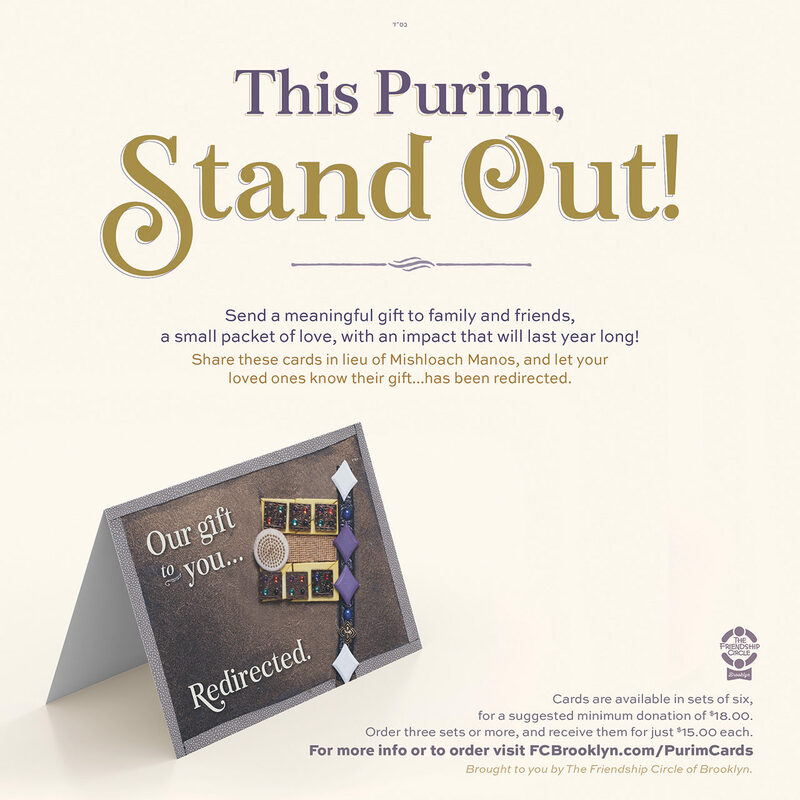 Share these cards in lieu of Mishloach Manos, and let your loved ones know their gift…has been redirected. Cards are available in sets of six, for a suggested minimum donation of $18.00. Order three sets or more, and receive them for just $15.00 each. Cards are 5×7 inches, 6 white envelopes included. Each card will help support the vital work of Friendship Circle of Brooklyn, proudly serving close to 200 families in the Brooklyn, NY area, with a variety of social, educational and religious programs, year round.